G-Flex cotton fiber products utilize a firm resin bond with laminates of non-woven aluminum oxide abrasive-impregnated fabric. Laminations run parallel to the shank to prevent the ends from chipping. As the tool is used, new abrasive grain is continually exposed. G-Flex is non-loading & runs cool. GREAT for aluminum! G-Flex is non-loading, runs cooler, and can grind and finish in one operation. A special formulation keeps it from being too aggressive so G-Flex works well on aluminum, stainless steel, and exotic alloys. 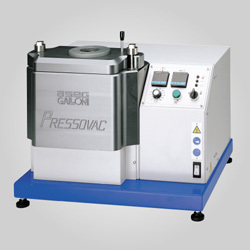 It's a favorite for cleaning and polishing mold runners, as well as deburring and edge breaking on all metals. 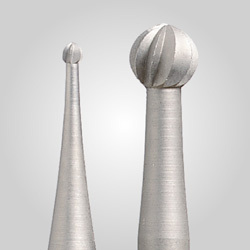 Also great for deflashing of die castings, as well as deburring and finishing of turbine blade roots. 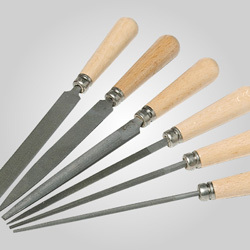 All are on 1/8" shanks (3mm shanks can be special ordered, please call or email us for more information). See Grinding Wheel Institute publications for operating speeds of mounted cylinders.